Spade head is 4.5″ wide by 6.25″ long with a serrated edge for sawing. You never know when you might need a shovel when you’re on the go, but with the VIVO E-Tool Folding Shovel, you can be certain that you’ll always have one handy. 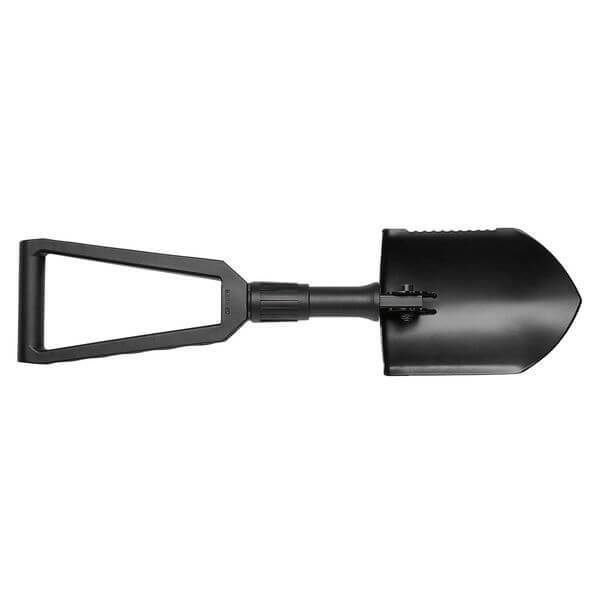 This shovel folds up and has a uniquely designed handle that can be positioned at 90 degrees or 180 degrees. 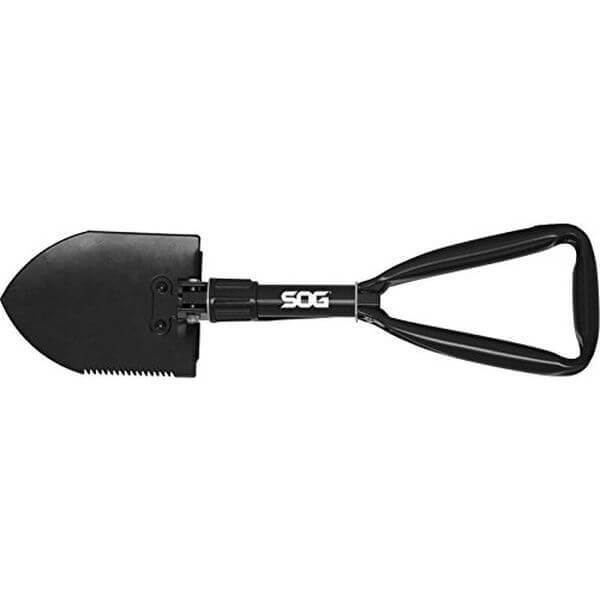 The SOG Specialty Knives & Tools Folding Shovel is more than just a shovel–it’s a survival tool! 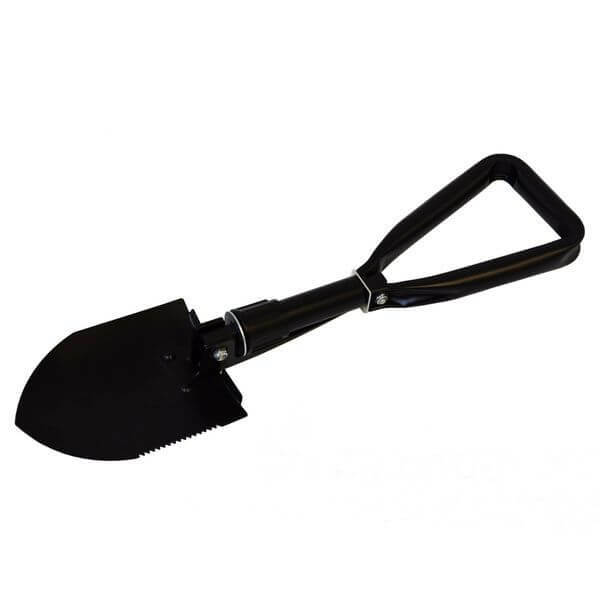 With a serrated edge, the shovel can be used for a variety of tasks, and it folds up to fit into a compact nylon sheath for easy carrying with your camping and outdoor gear. 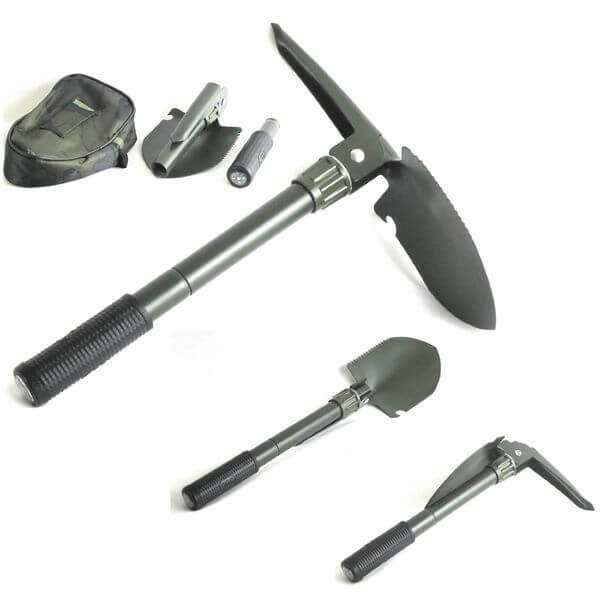 Accessories Includes: extension pipe(can be added as needed), fire starter, whistle, life hammer, sawtooth knife, rubber grip handle and thickened spade. One tool, so many possibilities! 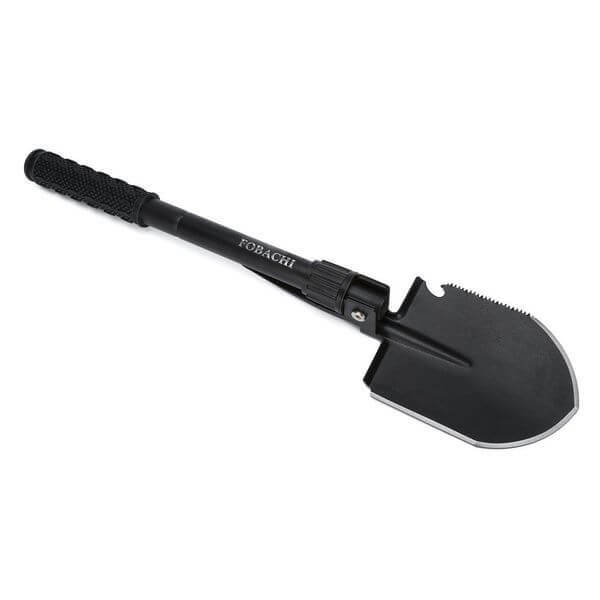 The Military Survival Folding Shovel and Pick comes with a variety of accessories, including a pipe for extending its length, a fire starter, a safety whistle, a glass escape hammer, a sawtooth knife and a slip-resistant rubber handle. Everything fits perfectly inside the Velcro carrying pouch. The Gerber E-Tool Folding Spade is perfect for any hunter, hiker or soldier’s gear bag. Although this folding shovel is incredibly light to ensure easy carrying, its anodized shaft makes it rugged and able to hold up to wear and tear and the harshest of conditions with ease. 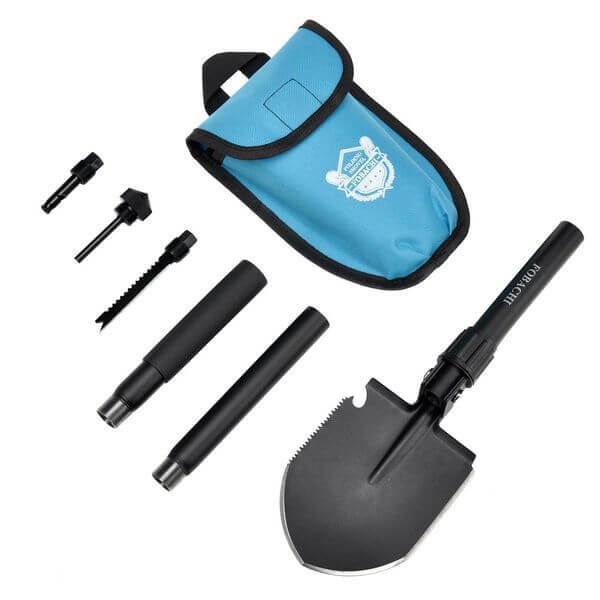 With the Military Folding Shovel and Pick with Carrying Pouch, you can perform a variety of tasks beyond everyday digging. This survival tool made from high carbon steel works for sawing, cutting, picking, prying, hammering and even opening bottles. Its rubber grip handle makes it comfortable to hold onto. The Folding Camping Survival Shovel can be converted into different tools to meet your needs when you’re on the go. Crafted out of solid tempered steel, the tool works as a standard shovel, a dibble pick and a saw cutting tool. A camouflage carrying pouch with a Velcro closure is included.